This week, we celebrate the successful Weight Loss of Alex Thomson. I was 23 years old when I had the gastric sleeve. Being so ‘young’ when I had the surgery just meant I was going down this road to better myself and take back the life that I had spent being overweight and unhappy. At that stage having children wasn’t at the top of my mind. I knew I wanted kids and at that stage, I didn’t believe my weight was probably highly hindering my dream of becoming a mother. I started to believe that it would just happen when it was meant to. Looking back now, I knew I would’ve been in for a long journey to conceive when I was ‘ready’. By then, without having this surgery who knows how much further I would’ve fallen. In April 2017, 1 year after having surgery, I fell pregnant. My partner and I were over the moon and knew this was how the next chapter in our lives was meant to go. I felt so much love already, I felt proud that I was able to conceive ‘naturally’. And in my head and heart, I just knew this was meant to the next chapter in my journey. I had lost 50kg, I was much healthier than I was a year ago but unfortunately, only 11 days after finding out I was pregnant, our angel bubba grew their wings. The emotions I felt afterwards I will never be able to fully describe. The guilt that I wasn’t able to make Bubba stick and grow, the anger, the tears & heartache. 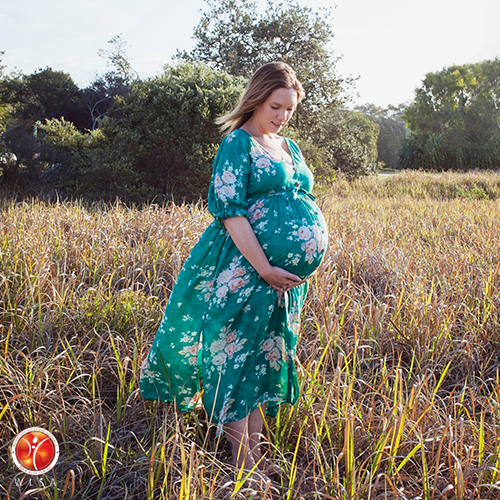 It was a rough time in my life and I started to question how our fertility journey would even pan out; would I ever be able to conceive naturally or would we need to go down the IVF path? My mind was going a million miles per hour with so many questions but I finally came to the terms that maybe it just wasn’t bubs time to enter this world; all I knew was that it sparked a light in my partner and I and we knew no matter what that we wanted to start a family. In January 2018, I took a pregnancy test and the minute those 2 clear lines came up I felt those same mixed emotions again. First and foremost the excitement that it was positive and we were pregnant, but in the back of my mind, I was worried that bub’s fate may be the same as our angel baby in 2017. I quickly put those negative thoughts aside and told myself to stay positive, that whatever will be will be. The next 3 months were torture, I suffered no morning sickness so was worried that was a sign that maybe bub wasn’t doing well. I had a scan at 4 weeks, 8 weeks & 12 weeks. Every time I went for a scan I’d have a lump in my throat just waiting to see bub on the screen to make sure they were okay. At the 8 week scan, we heard bubs heartbeat. I will NEVER forget this moment, the feeling of relief and happiness was at an all-time high. We cried and at that point, we both knew this was meant to be. We were finally going to be parents! My whole pregnancy was amazing. I only suffered from some sciatica pain towards the end, but I felt physically fine the entire time. I completed the 5.7km fun run with team WLSA when I was nearly 6 months pregnant, (took me almost double the time from the previous year haha) but I spent the walk reflecting on how far I had come since my surgery 2 years prior. 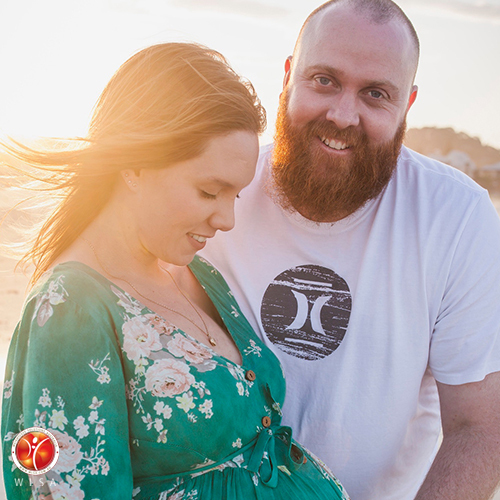 I gained around 11kg over my pregnancy, and whilst It was a different feeling seeing the scales going up instead of down, I knew I was carrying a baby that needed all they could get. I went into early – labour the morning of Wednesday 3rd of October 2018 (38 weeks 5 days). 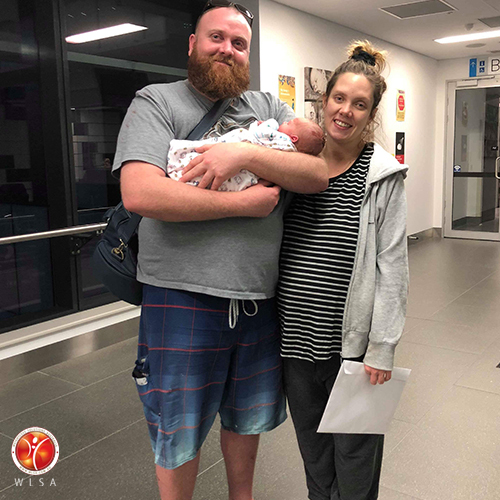 Active labour started at around 6:30 pm that night, and at 1:21 am on Thursday 4th of October 2018 we welcomed our beautiful baby boy into the world weighing a healthy 8 pound 7 oz (3.85kg). The minute I held him in my arms, I knew I’d found my purpose. 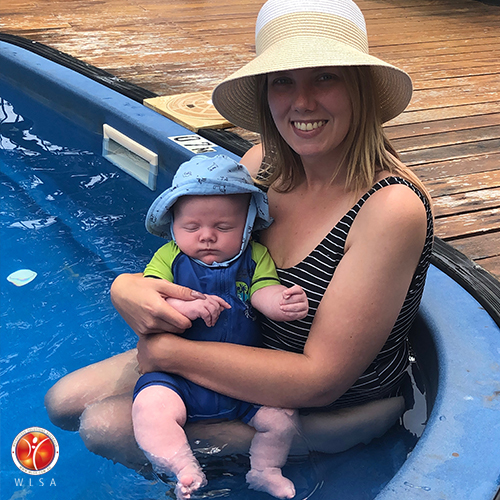 I never ever want to lose sight of who I was 3 years ago because remembering what I was like at the lowest point in my life, inspires me to continue living the newfound healthy lifestyle that I gained with the support of WLSA, not only for me but now for my son. It reminds me of what I’m able to give to him now. I CAN run around with him every day, I CAN join in on fun activities and not be embarrassed about my size. I CAN take him to the beach and wear swimmers and not hide. I CAN take a million photos and not be ashamed to post them publicly. He is my purpose, he brings so much love and happiness into our lives and I want to ensure I am around for a very long time to watch our little boy grow into the amazing man I know he’ll be. I cannot thank WLSA enough for helping me take my life back and to be able to make my dream of becoming a mother a reality. Alex’s journey has been an inspiration to watch from day 1. Her family have been the absolute backbone of support; cheering her on all the way. 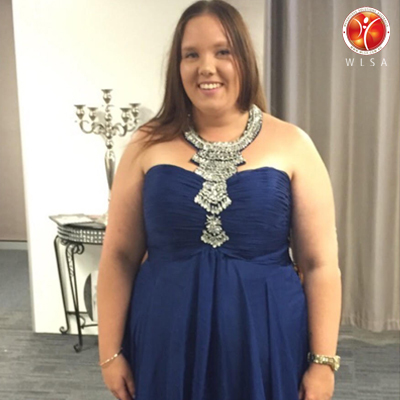 Fast-forward and 2 years out from surgery and Alex has started her career working at WLSA where she can inspire and support others. She has a wonderful partner and the newest love of their lives; bay boy Kaison. Her pregnancy was perfect all the way; she is now back to her pre –pregnancy weight and looks incredible. We can’t wait for Alex’s return to work after maternity leave. She is already co-ordinating our WLSA GC Marathon team. Congratulations for your positive attitude to achieving great results in all that you do in life Alex, career, partnership and motherhood! You are doing so well and the sleeve has been a major part of helping you live your own personal dream. It’s hard to believe how much can change in 2 years. In 2016 I was extremely overweight, unhappy and living in my own little bubble. Now, 2 years later, I have a newfound respect for not only life; but most importantly, for myself. I’ve started to put myself first, I’ve started to truly believe in myself and that’s something I never thought I’d be capable of. I also never thought I’d be capable of looking in the mirror and being happy with how I looked. I was the girl that never tried clothes on in clothing stores; I’d just buy and hope for the best when I got home because I was ashamed of walking back out to the worker and say no to a pile of clothes that didn’t fit me. I was scared of judgement. I now walk back out with a pile of clothes and a shrinking bank account ha-ha. I am also over the moon to announce that my partner and I are expecting our first little bundle of joy in October 2018. Being nearly halfway through this pregnancy I find myself thinking about what pregnancy would’ve been like being 50kg heavier, and if in all honesty; whether I would’ve been able to healthily carry a baby at the weight I was. Prior to surgery; I don’t doubt that my weight would’ve impacted my ability to fall pregnant. But I think I just kept pushing those thoughts to the side as I didn’t want to admit the reason was possibly me. This surgery changed my life for the better; I still have a lot to learn but I’m forever grateful for the whole team at WLSA and the support they give. I’m excited to able to share my pregnancy and for once; to be happy about gaining weight ha-ha. This week, we celebrate the successful WeightLoss of Alex Thomson. Here’s her story below and also featured on the Label Magazine! 17 months ago I was living my life, thinking to myself that the weight I was, was how I was going to be forever. To look back now I almost have to pinch myself at the thought of me being 50kg heavier, to looking at where I am now and how much my life has changed. I now have so much more energy, I am enjoying being more physical. My weekends are now filled with walks, adventuring and fun. Instead of hiding inside like a hermit I am venturing out and actually experiencing what the Gold Coast has to offer. Unfortunately, I have a current knee injury so I can’t push myself as hard as I’d like to. But I am proud of myself for still getting up at 5 am to take the dogs around the lake before work. Before this surgery, I would’ve made an excuse to not exercise. I now enjoy waking up before the sunrise and making the most out of my weekends. I will forever stand by my opinion that WLSA changed my life. I still remember my first conversation with Alex’s Mum. It was a Sunday when I was busy working in the office. Helping your own children become the best version of themselves is such a wonderful gift and Alex’s parents have played a major role in getting her to where she is today. It was not long after that first call that Alex came into the office to meet the team and set a date for surgery. Not only can she wear any bridesmaid’s dress now and feel confident and look beautiful but this time next year she will also have reached a milestone in life wearing her own wedding dress. We can’t wait to see! Alex is definitely an absolutely gorgeous girl. She now is a valued team member at WLSA sharing her own journey with patients’ every day. She is set for a healthy; happy future; living life to her fullest potential. I am now nearly 9 weeks post op and I know I’m not 100% there yet but comparing these photos that are only 10 weeks apart made me realise how far I have come already. It hasn’t been an easy few weeks, there are some tough days, but I just look at these photos and it reminds me of what’s to come. I’m now 20kg lighter and 100 times happier. I cannot thank the whole team at WLSA enough for completely turning my life around. 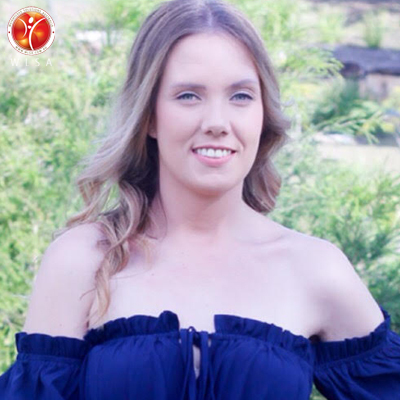 Fourteen months ago I started a journey here at WeightLoss Solutions Australia, and in all honesty, at the time I didn’t realise how much of an impact it would have on my life today. I’m now 13 months post-op and I have lost nearly 50kg. I will never be ashamed of my photo on the left because that person was strong enough to take this life-changing step. Admitting I was obese was probably the toughest thing I had to do, I was living in denial and that lead me further down the weight gain path. But here I am! 13 months later, 50kg lighter and so much happier! I will forever be grateful to my amazing family & friends that helped me through this life-changing year, and also a big thank you to the team at WLSA for their ongoing support. I’m also now training to enter my first marathon and I am so excited! I truly never thought I’d enjoy spending part of my weekend training for a marathon but here I am buying new running shoes and actually wanting to get out and be active! 2016 was a big year for me, but 2017 is going to be so much better! I am also so excited to announce that I have officially started my career here at WLSA and I could not be happier. Before having this surgery I was working in retail with no real passion for what I was doing. 3 months after my surgery I was asked to come and speak at an information night and as daunting as it was for me, receiving messages afterwards from people thanking me for sharing my story made me realise how much I wanted to help people make this life-changing decision. Now every day, I get to talk to people that have made this decision for themselves or are looking into it and I can share my story with them too. I can relate to anyone coming through these doors and if I can make this whole journey a little less daunting by being here if they ever need to talk then I will happily do this for the rest of my life.